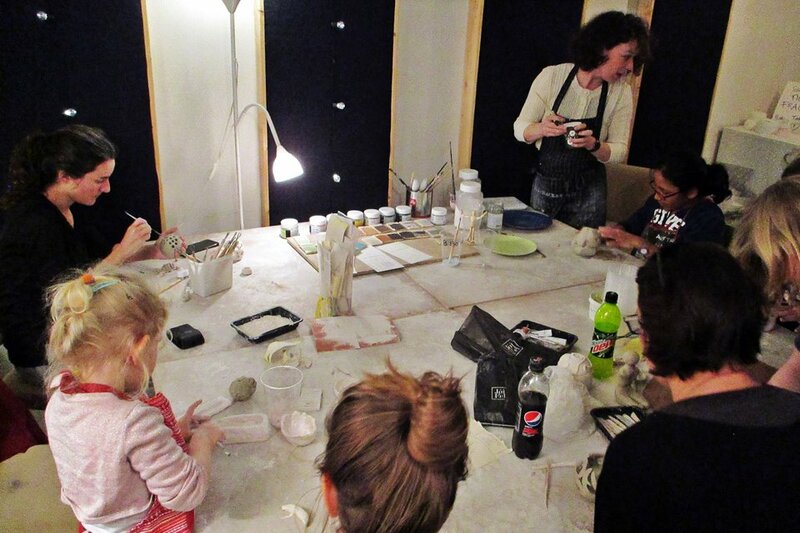 My ceramic class is great for children and adults, beginners and advanced. If it is your first time, you will discover the materials and tools, learn techniques from specific subjects with my guidance and your own choices. 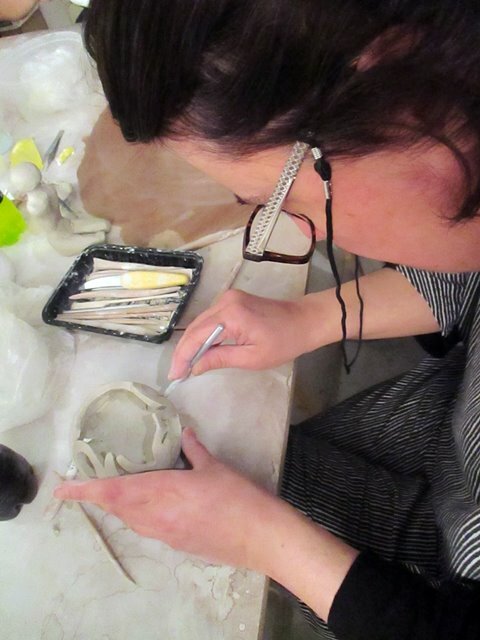 And if you are more experienced and familiar with working with clay, it will allow you the opportunity to develop your work as you wish. 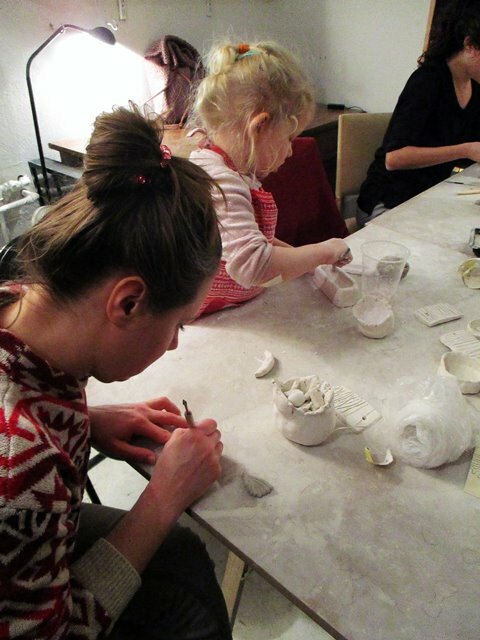 I have created this ceramic class with the idea to connect with clay, to touch and feel the material so you can start making instinctive shapes as a first step in the creative process and development of your hand building skills. As soon as you are confident with your skills I introduce you to different ways to build by hand based on what you would like to create. In a final stage, I show you, explain and teach you how to refine your artistic eye to get a unique and personal piece. The pieces will be burned after the class and shipped to your home address. 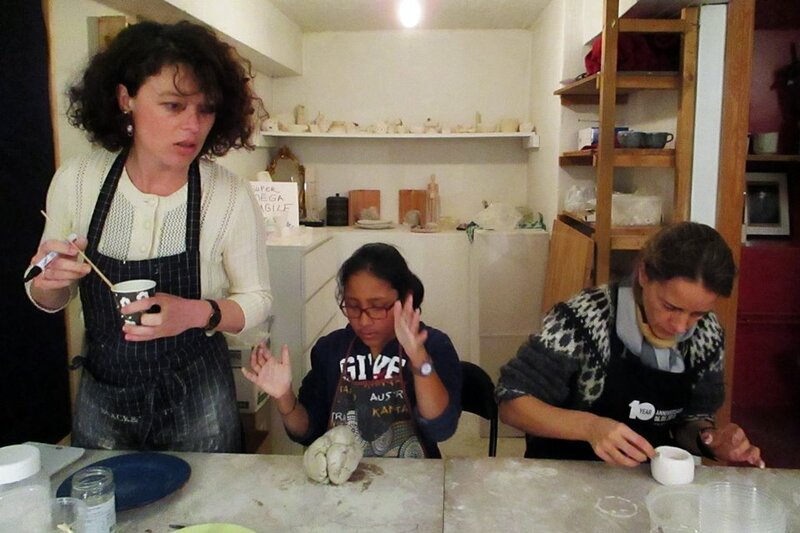 The ceramic classes are held at a Non-profit Art Space which houses a collective of Independent Artists. A perfect atmosphere to spark creativity and connect with art with all your senses. Everyone is welcome to spend a creative, relaxing and fun time! Longer classes available. Please contact to arrange it. 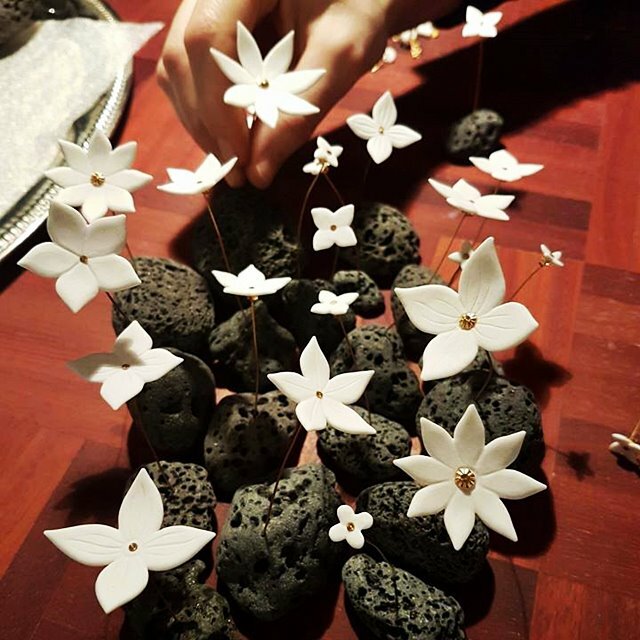 I’m a french artist residing and working in Reykjavík. I graduated with a Bachelor of Applied Arts, a Master of Fine Arts and a licence of cultural mediation in Paris. I posses a CAPES fine arts formation and work experience in schools, cultural centers and museums. 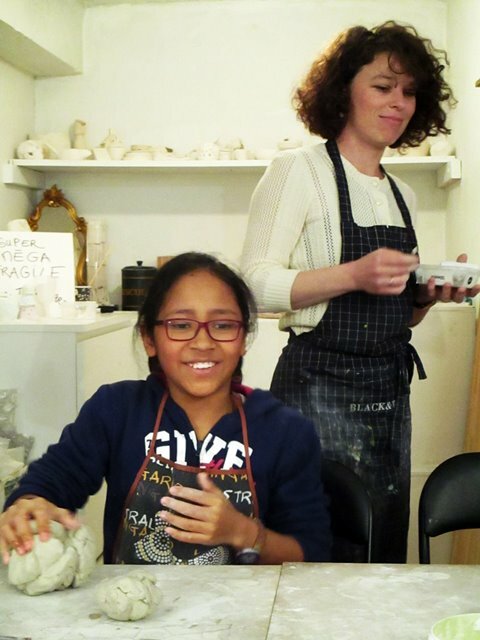 Currently, I am teaching arts to kids at L'Alliance Française and ceramic classes to adults and kids as well. Art gallery, 10 minute walk from downtown Reykjavik. Public bus available to get to the location. Address will be provided after booking.